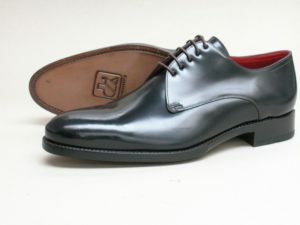 A whole new kind of „Dieter Kuckelkorn“. 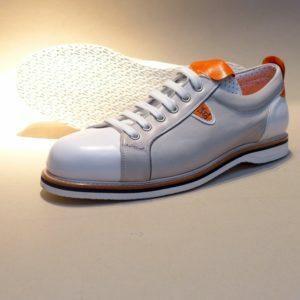 Also we can sneakers! 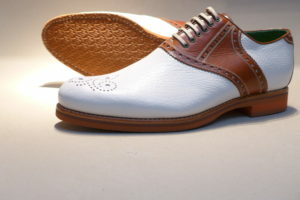 For the upper we have combined white calf nappa and Menorcan linen. 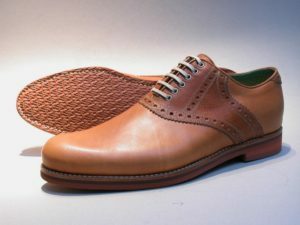 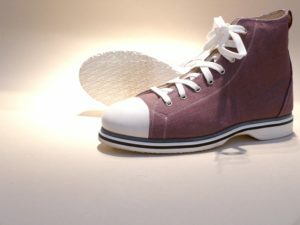 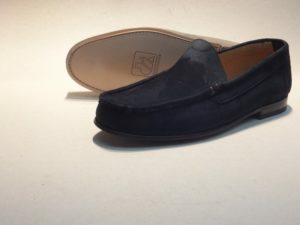 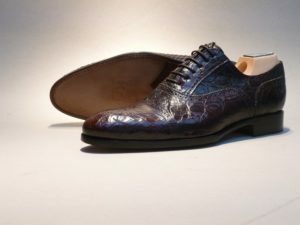 Even if it is a sneaker, it still has all the features that make up a shoe of our craft: It is equipped with a leather insole and cork filler, so that forms after brief entry the individual footbed of the wearer. 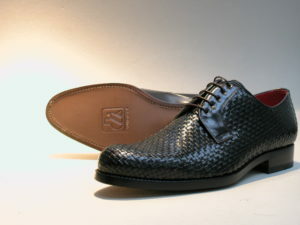 The insole is padded with a carbon fiber. 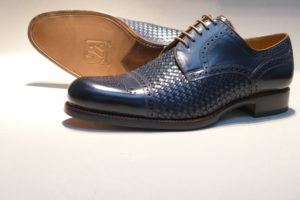 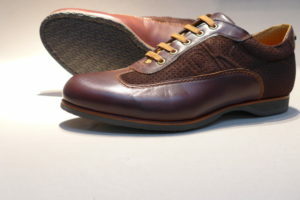 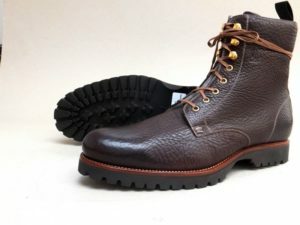 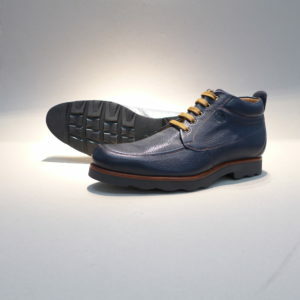 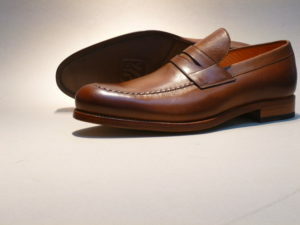 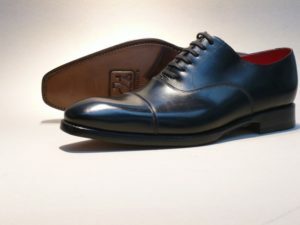 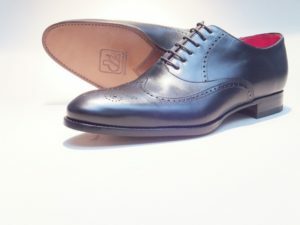 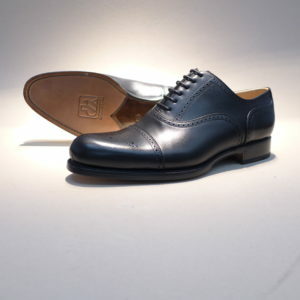 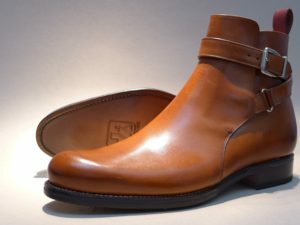 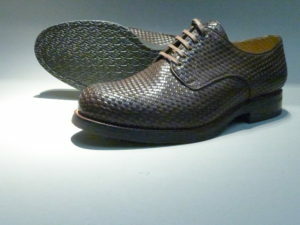 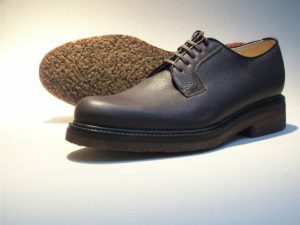 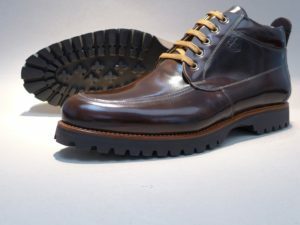 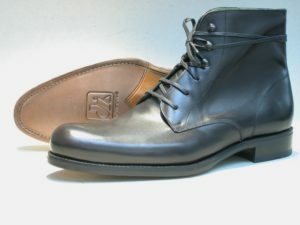 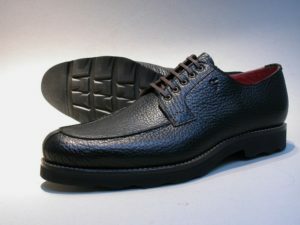 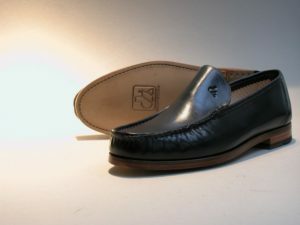 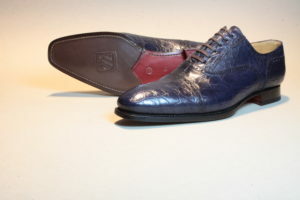 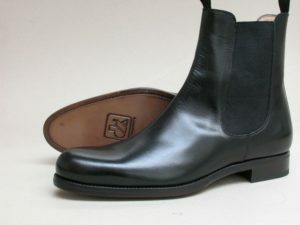 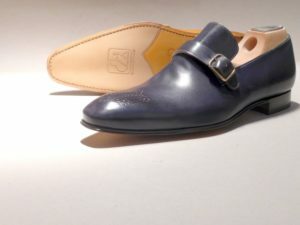 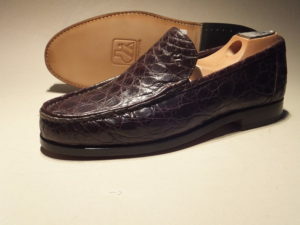 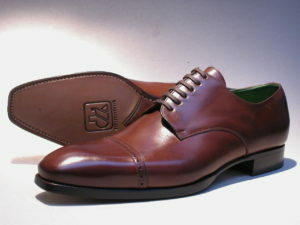 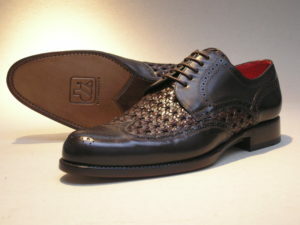 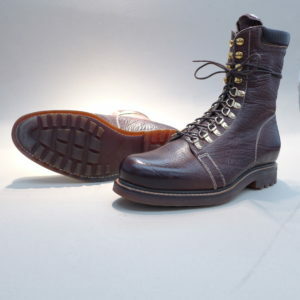 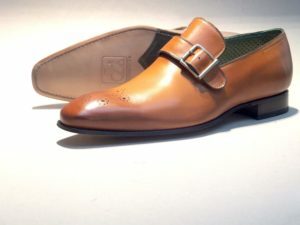 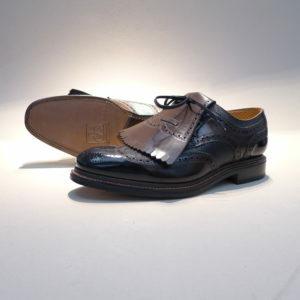 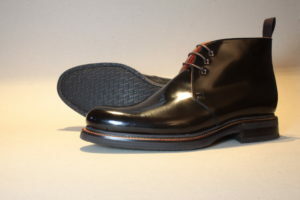 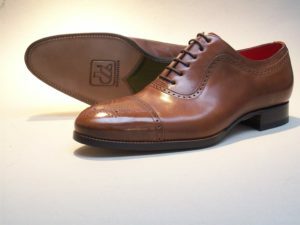 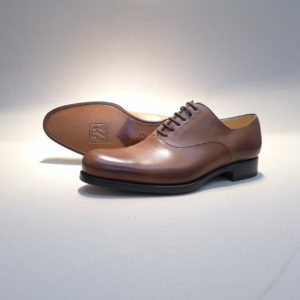 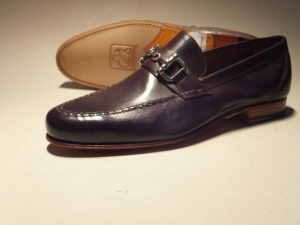 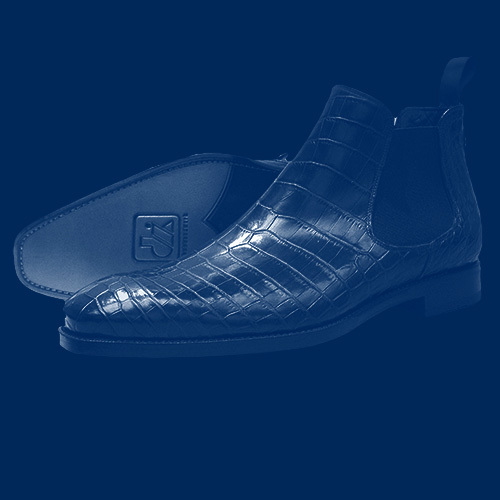 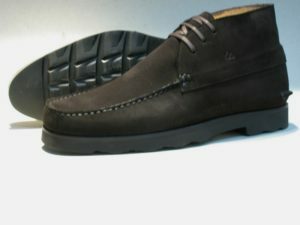 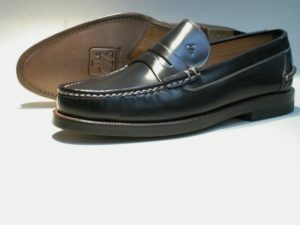 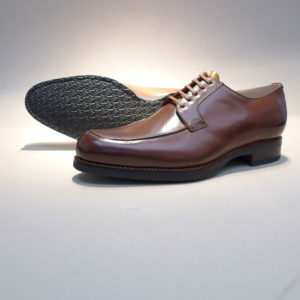 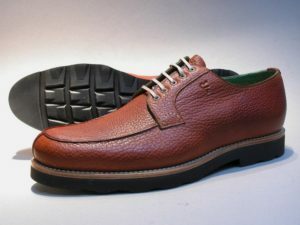 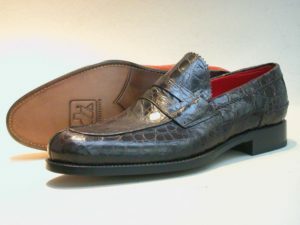 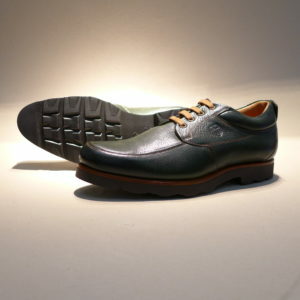 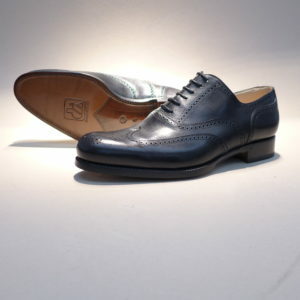 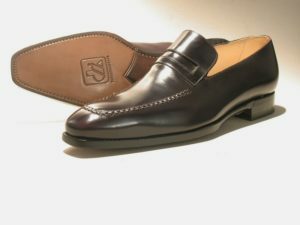 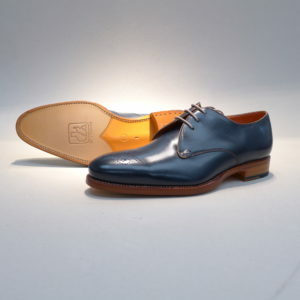 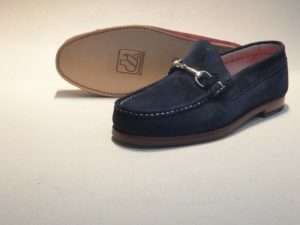 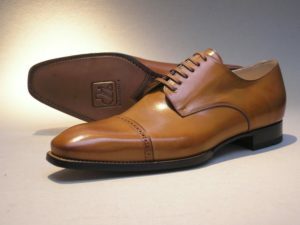 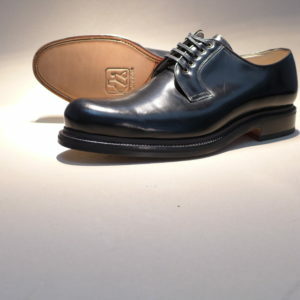 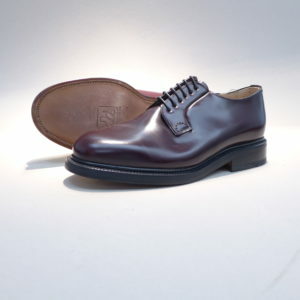 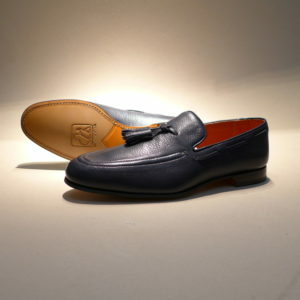 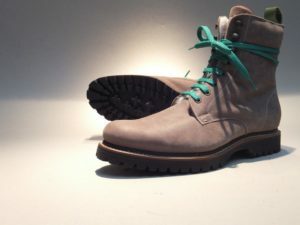 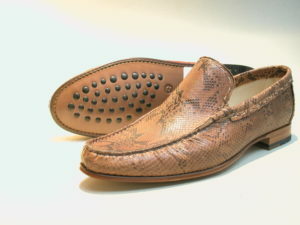 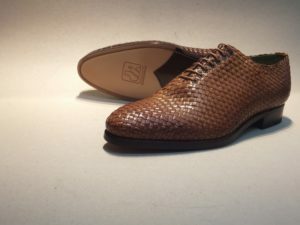 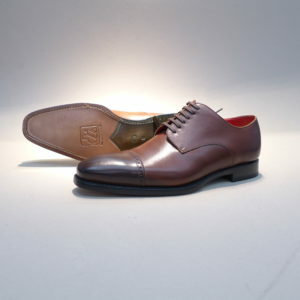 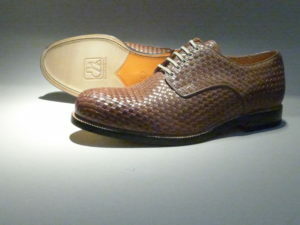 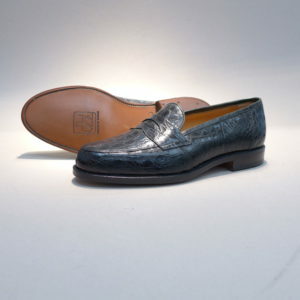 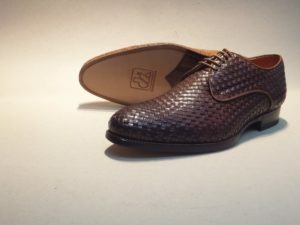 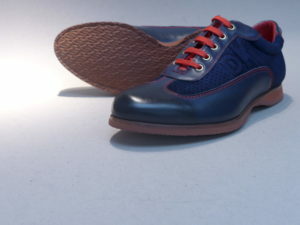 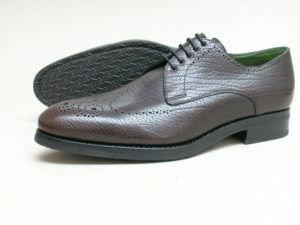 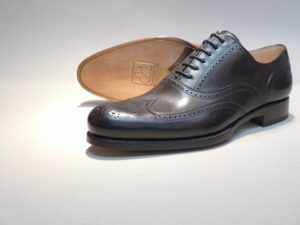 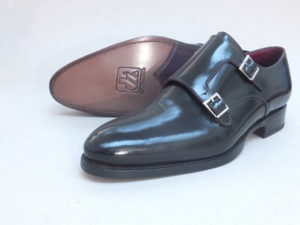 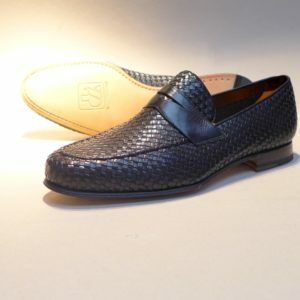 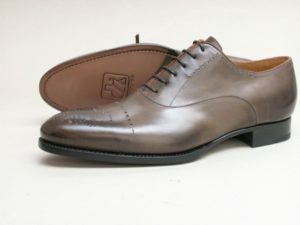 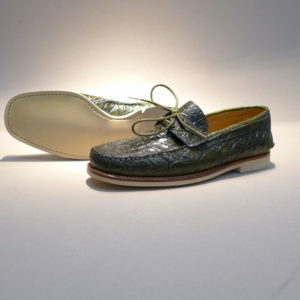 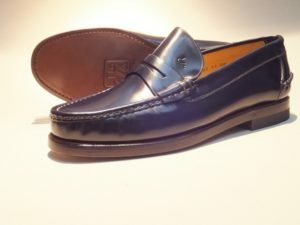 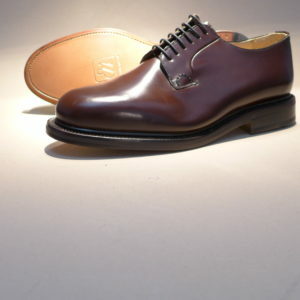 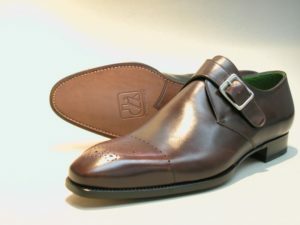 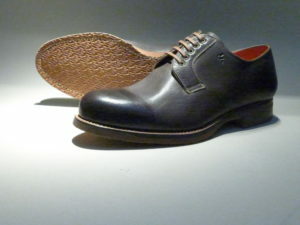 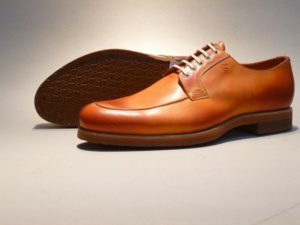 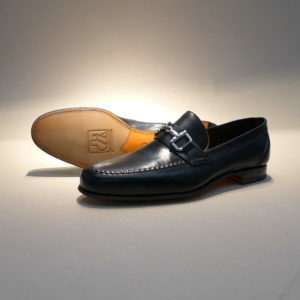 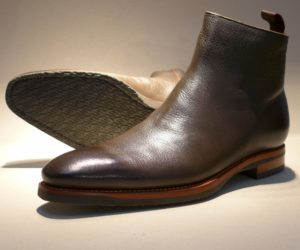 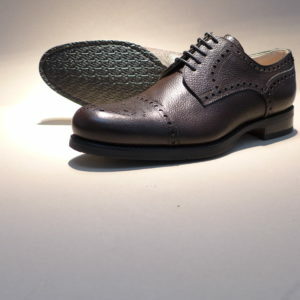 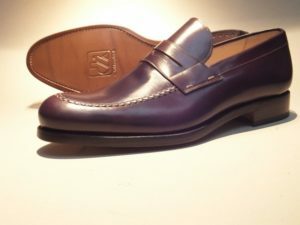 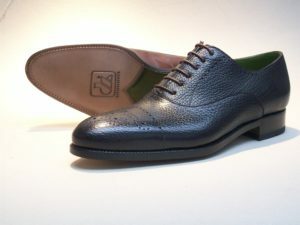 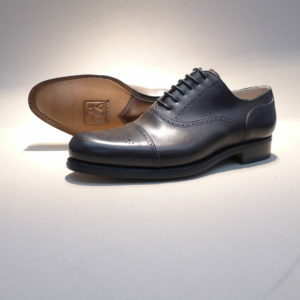 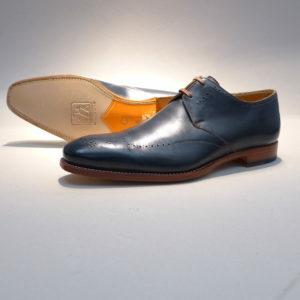 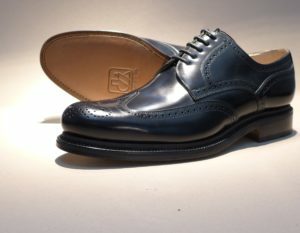 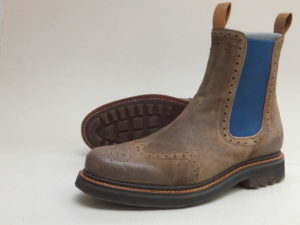 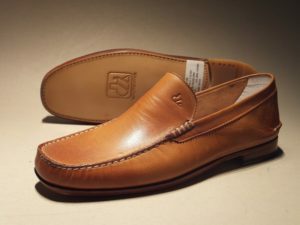 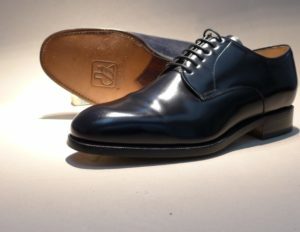 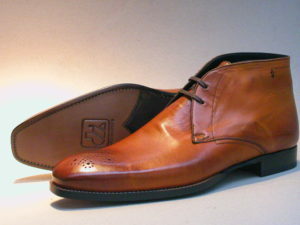 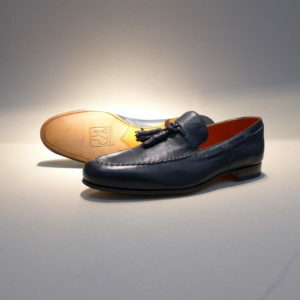 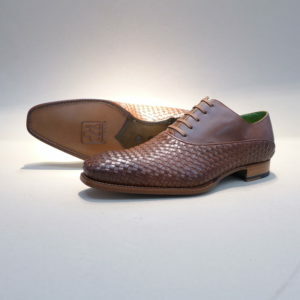 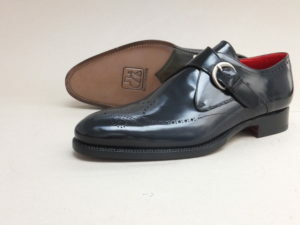 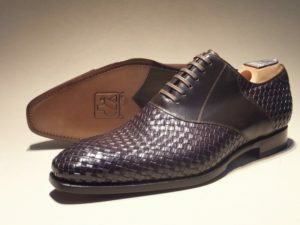 And of course, the leather frame with the rubber intermediate and rubber outsole is also welted. 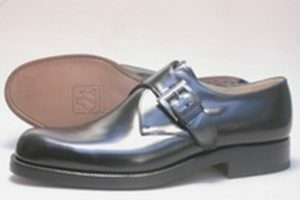 A whole new kind of „Dieter Kuckelkorn“. 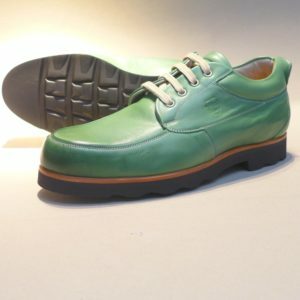 Also we can sneakers! 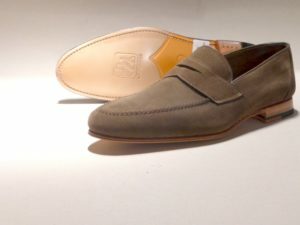 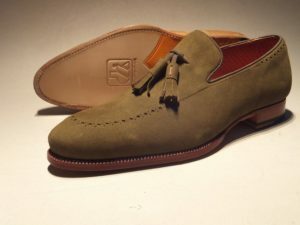 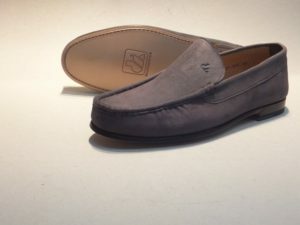 For the upper we have combined soft calf nappa in light tones. 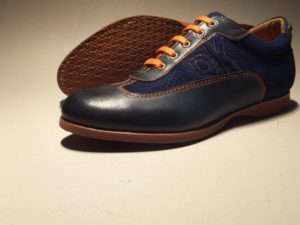 Even if it is a sneaker, it still has all the features that make up a shoe of our craft: It is equipped with a leather insole and cork filler, so that forms after brief entry the individual footbed of the wearer. 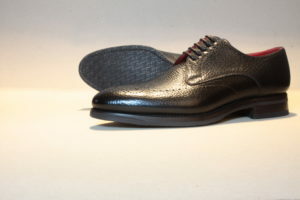 The insole is padded with a carbon fiber. 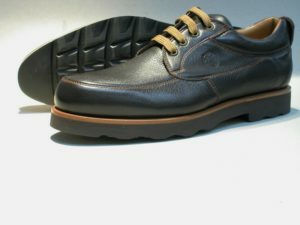 And of course, the leather frame with the rubber intermediate and rubber outsole is also welted. 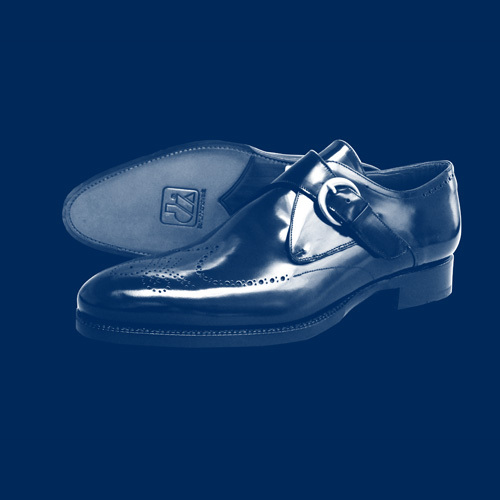 A whole new kind of „Dieter Kuckelkorn“. 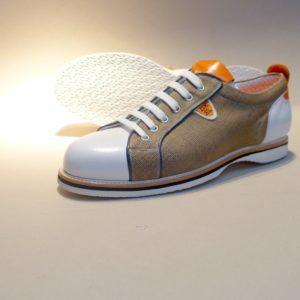 Also we can sneakers! 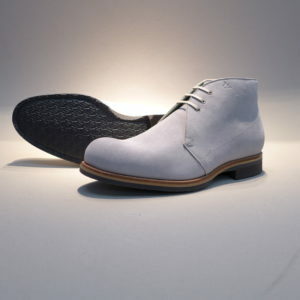 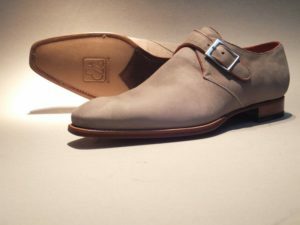 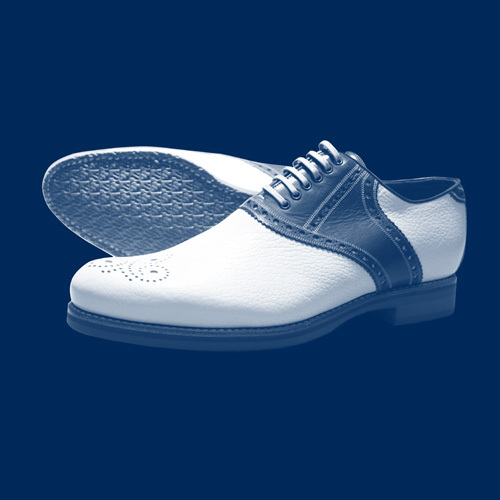 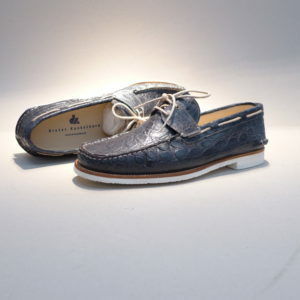 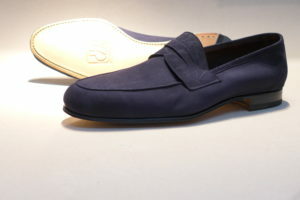 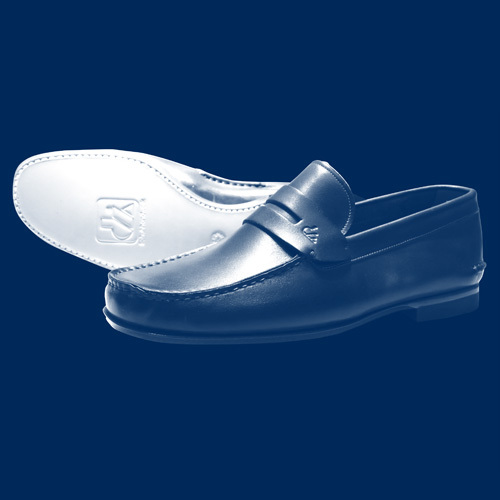 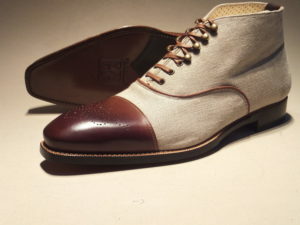 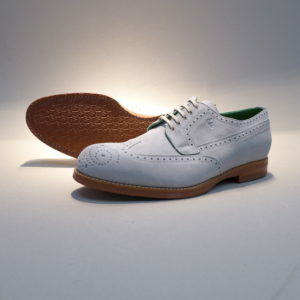 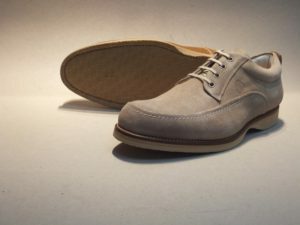 In this ankle-high variant, we have combined white calf nappa and Menorcan linen. 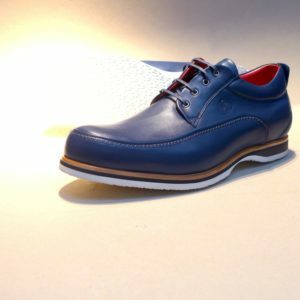 Even if it is a sneaker, it still has all the features that make up a shoe of our craft: It is equipped with a leather insole and cork filler, so that forms after brief entry the individual footbed of the wearer. 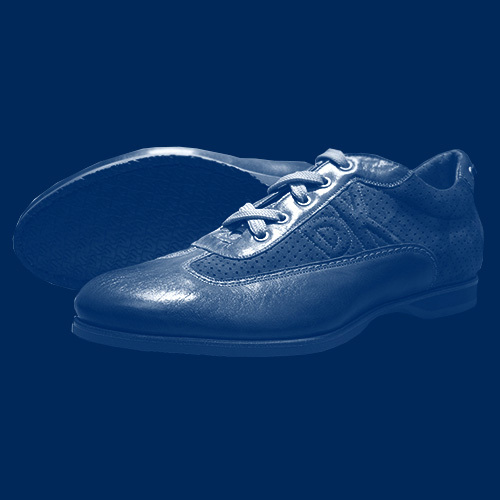 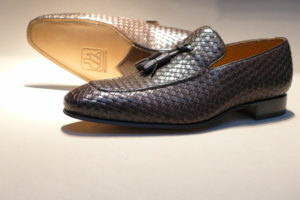 The insole is padded with a carbon fiber. 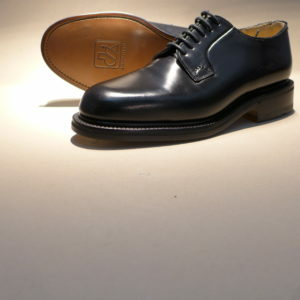 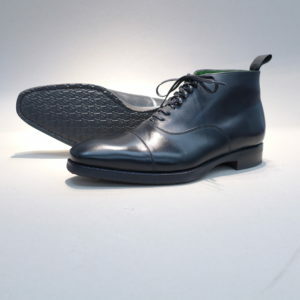 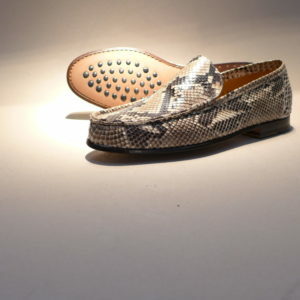 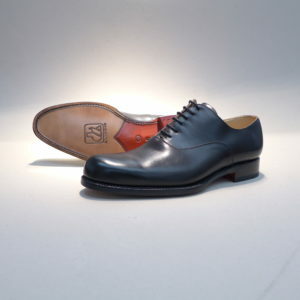 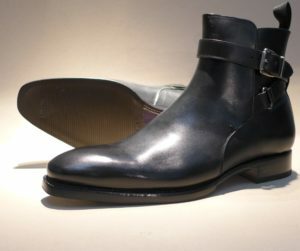 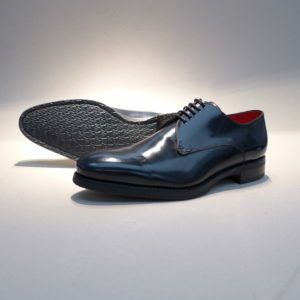 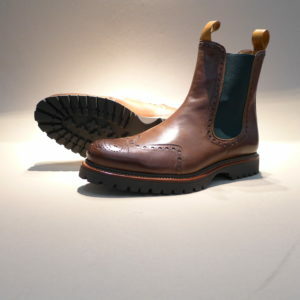 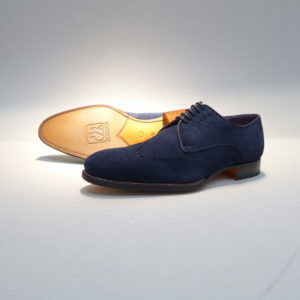 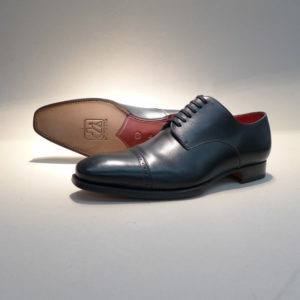 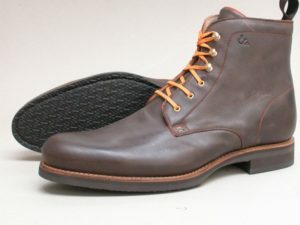 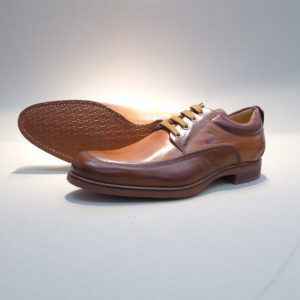 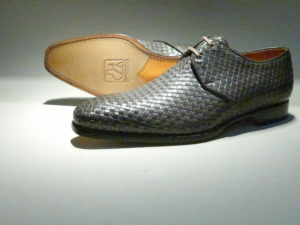 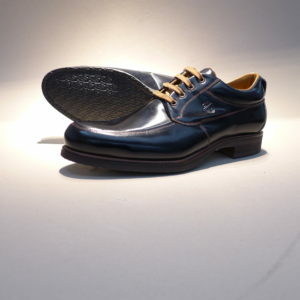 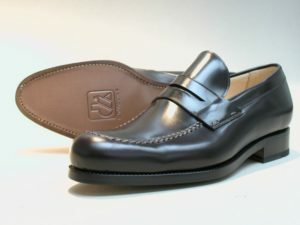 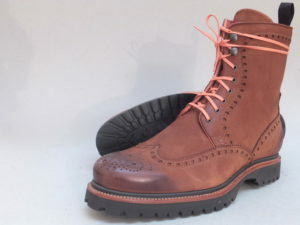 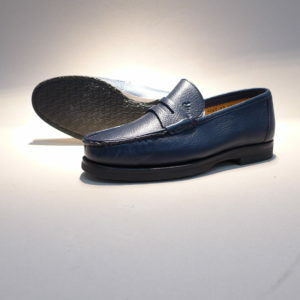 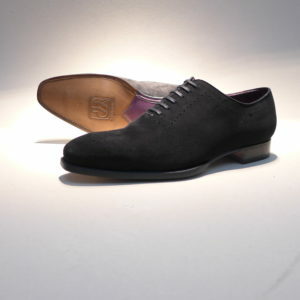 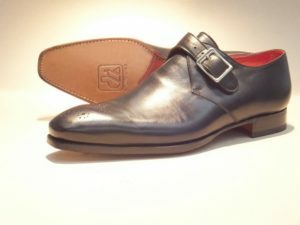 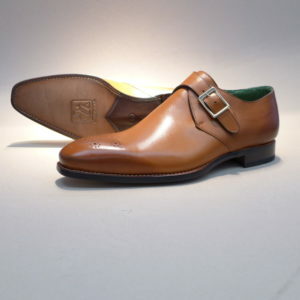 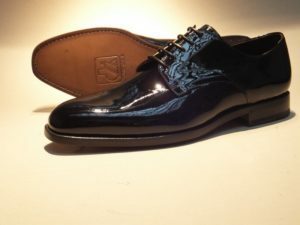 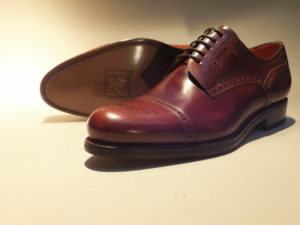 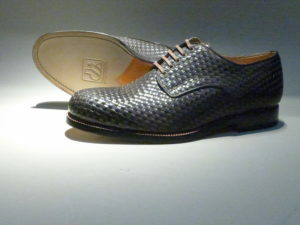 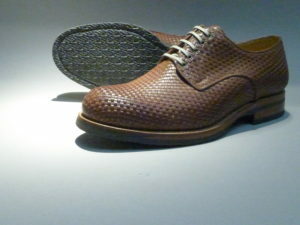 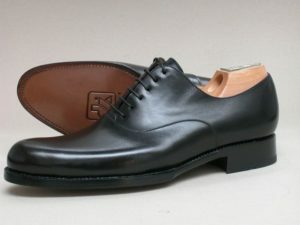 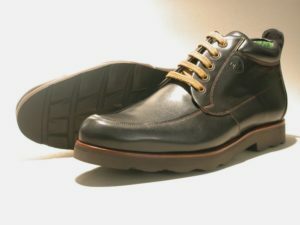 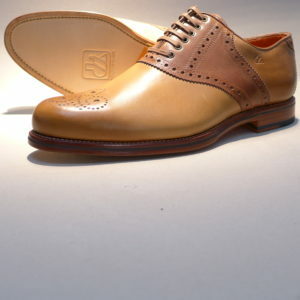 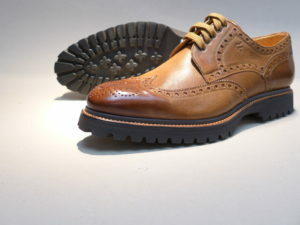 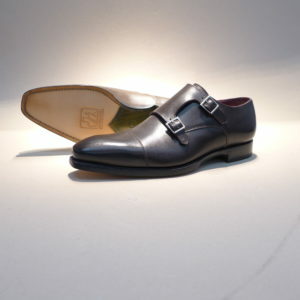 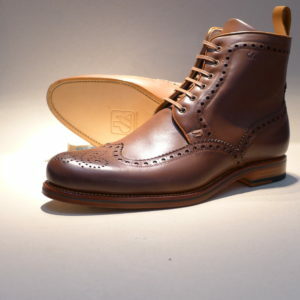 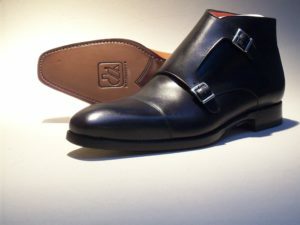 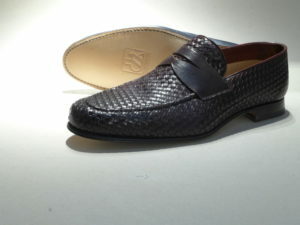 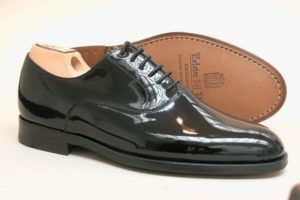 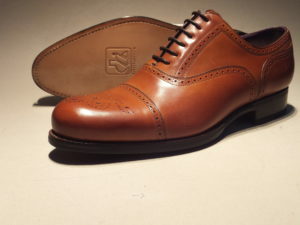 And of course, the leather frame with the rubber intermediate and rubber outsole is also welted. 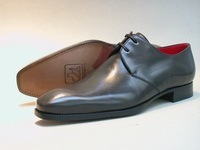 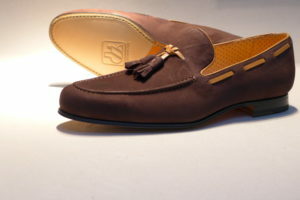 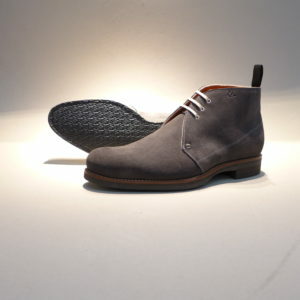 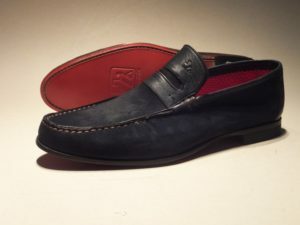 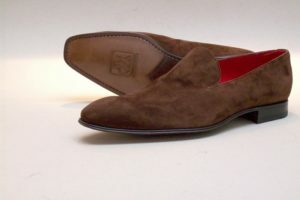 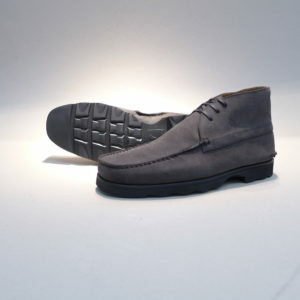 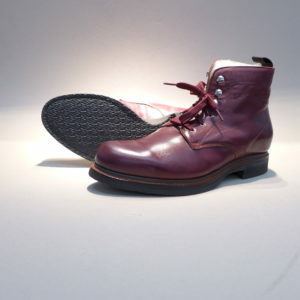 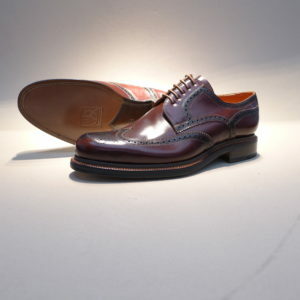 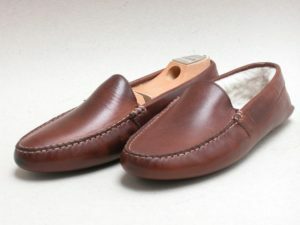 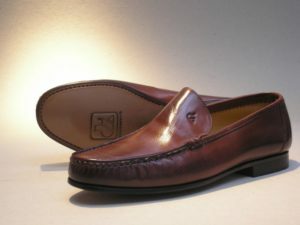 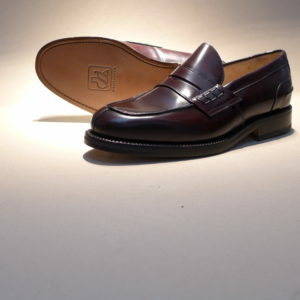 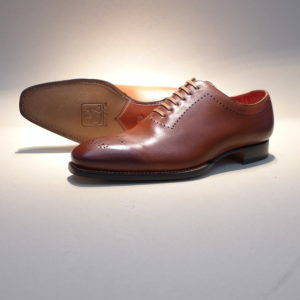 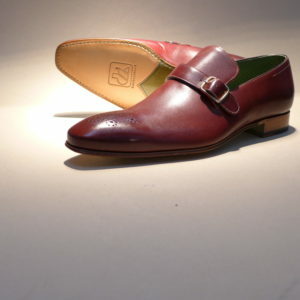 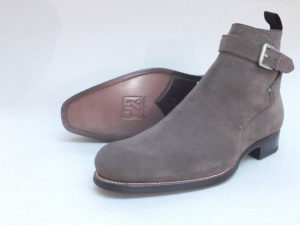 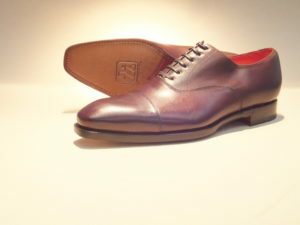 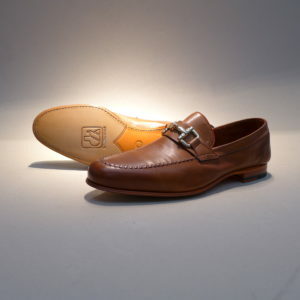 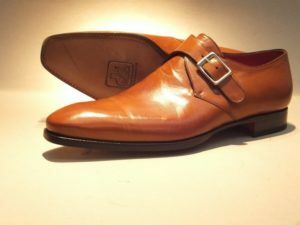 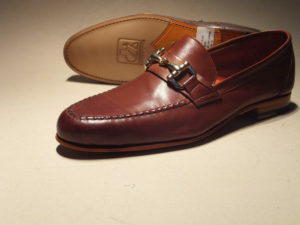 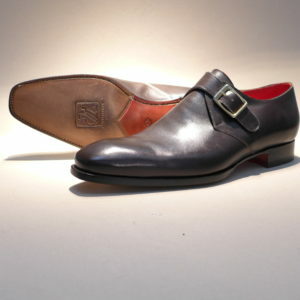 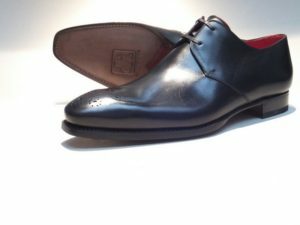 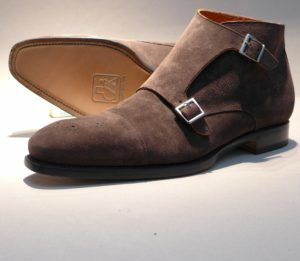 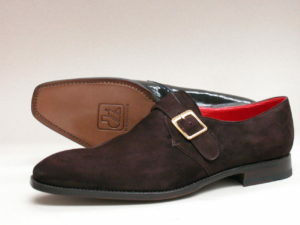 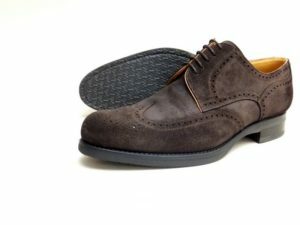 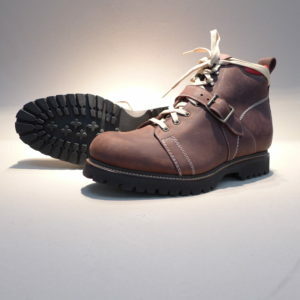 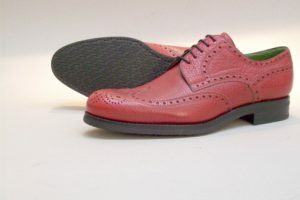 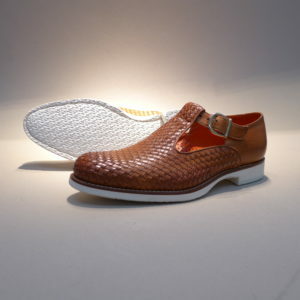 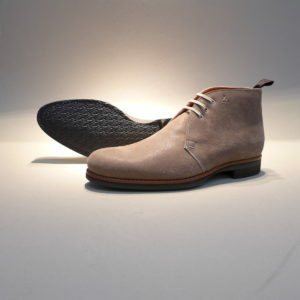 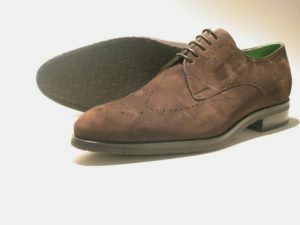 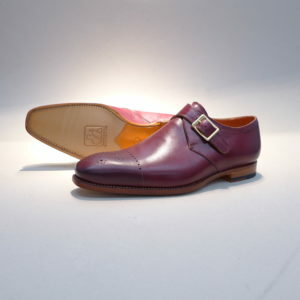 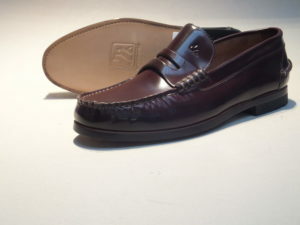 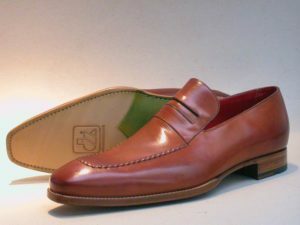 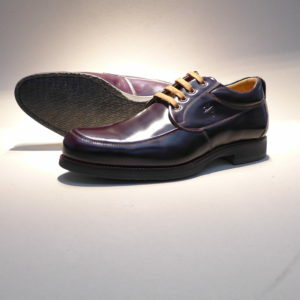 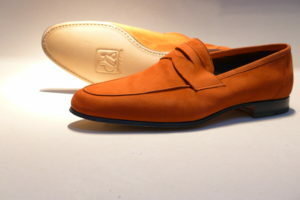 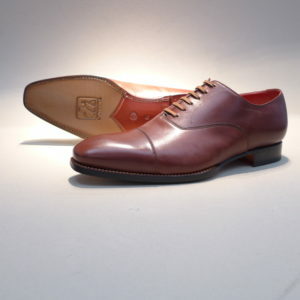 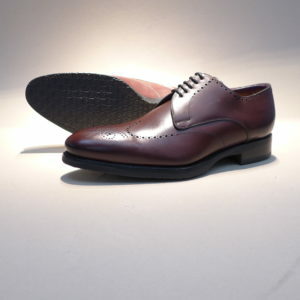 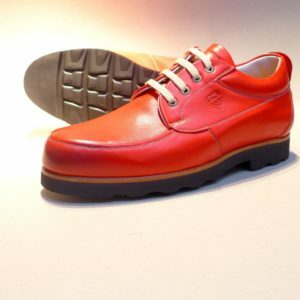 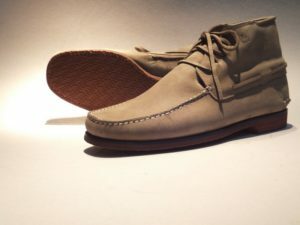 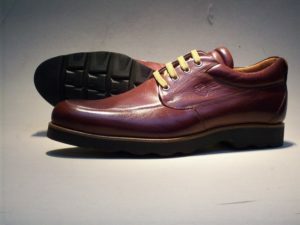 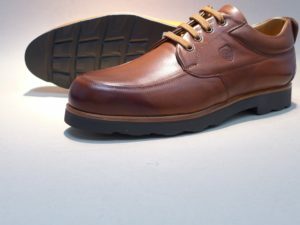 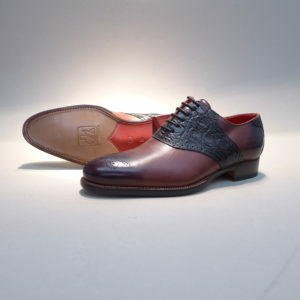 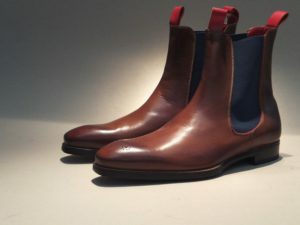 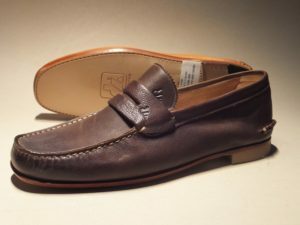 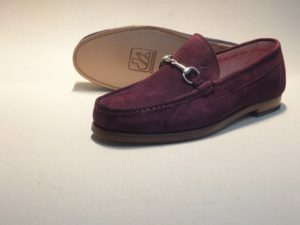 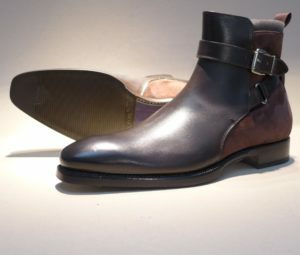 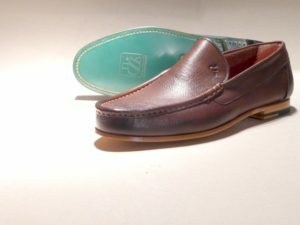 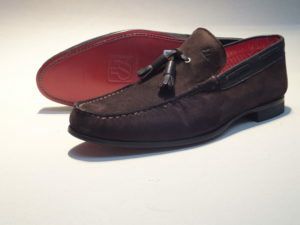 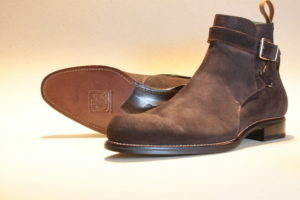 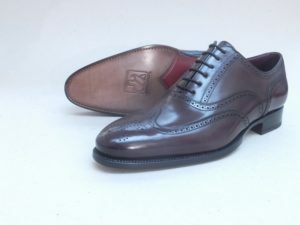 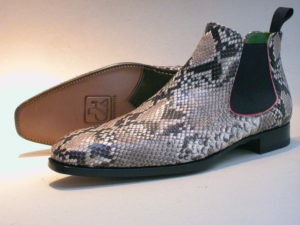 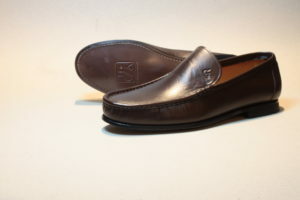 VERY LIGHT CASUAL IN TWO LEATHER ARTCLE- GOATNAPPA AND SUEDE RED.